The power of tools has increased every year as I have observed. The amount of storage required has also increased, except for storage of source code. 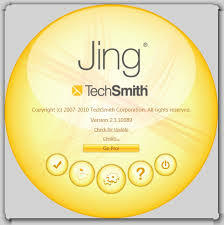 The Jing by TechSmith video capture tool is quite amazing. When I teach about software engineering, my students show me even better tools. Jing is a bargain for the money: free. Jing serves well to document errors on screens, desired changes to screens, and successful results of certain inputs. Notepad++ handles many kinds of flat files well. MS-Excel works well for sorting, formatting, and data transfer. Excel can translate values and sort. Macros give Excel great power. MS-Word generates files that work well for documentation; the comparison capabilities work well for combining versions. SQL Developer works well for executing SQL. AquaData Studio has more features. AppDesigner is the primary tool for maintaining and modifying PeopleSoft objects. COBOL strong algorithmic power, extendable by libraries; I have written tens of thousands of lines of COBOL for many uses. The COBOL compiler works well inside batch files. Java some utilities, like a program to extract data from *.pdf files.